A hidden jewel on the south Caribbean coast. Playa Chiquita and Punta Uva beach are excellent places to get lost, swim and view the wonderful underwater marine world. Every day at 4 o’clock a group of people meet to play volleyball on the beach. Young and old are welcome to join. You can also paddle a kayak up the peaceful rivers and trough the mangroves swamps that meet the sea at the idyllic beach of Punta Uva. Kayaks are available for rent on the beach in front of the Ranchito restaurant. So, if you are looking for the shiny fresh greenness of tropical jungle and the smooth curves of the beaches under the deep blue sky, then this might be your paradise. Punta Uva beach is right in front of the Tree House. 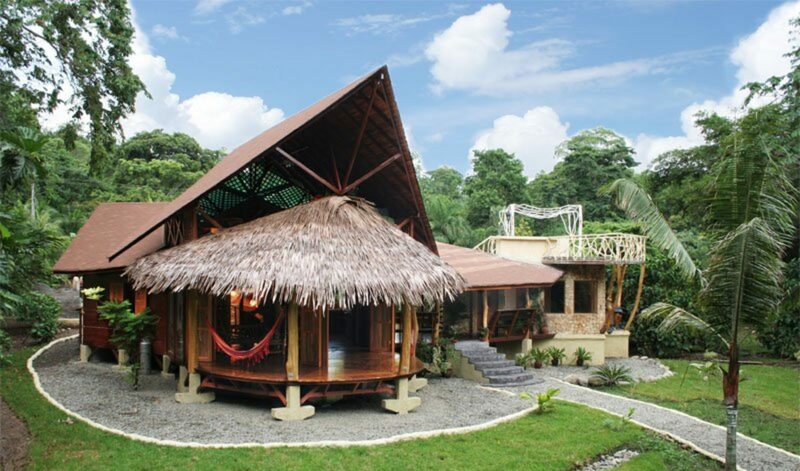 The Punta Uva beach is right in front of the tree house. This beach is considered as one of the most beautiful beaches in the country. The water is safe and no riptide or dangerous coral reefs are reported. The small bay of Playa Chiquita is just at 300 meters from the beach entrance at the tree house. The botanic garden around the Tree Houses is one of a kind. We grow over 50 different palm trees and have the largest Heliconia collection in the area. Both houses are hidden between tropical plants. The extended gardens are the favored place for many exotic birds. In the morning, you shouldn’t be surprised if you look out of your window and you see the howler monkeys around your house. They wake up early and they won’t hesitate to let you know they are awake.